Taking photos and enjoy your picnic and suddenly your digital camera turns off because the batteries are dead, how that sounds? I am sure, bad than ever. Now you don’t have to worry about the batteries and you need not to throw them out. 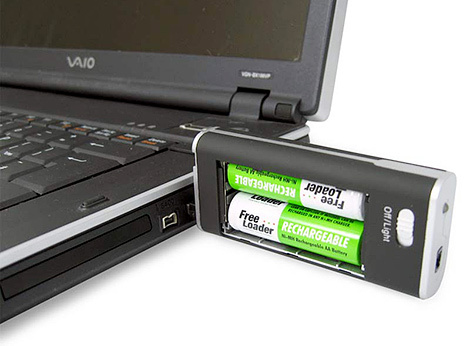 Charge AA or AAA batteries either from Freeloader or from your PC’s USB port.